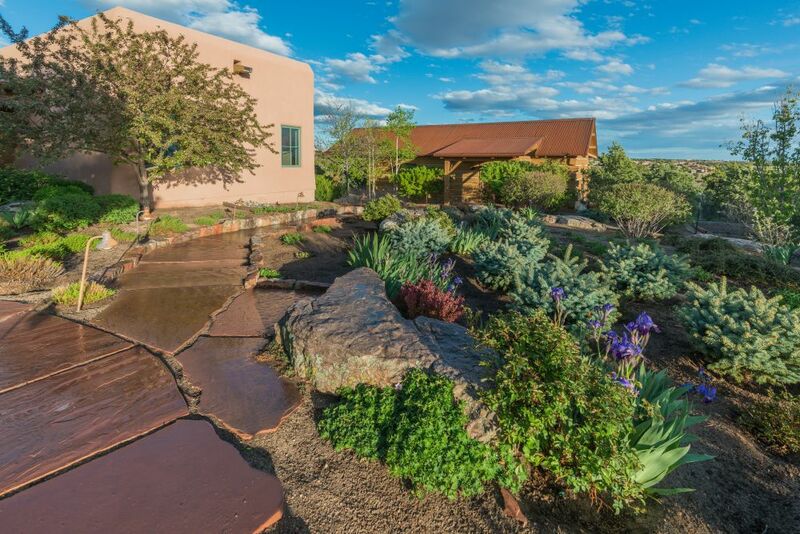 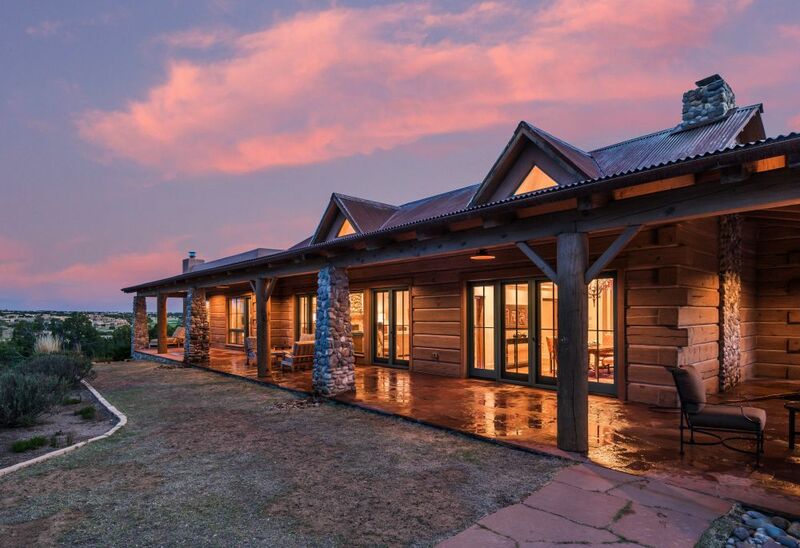 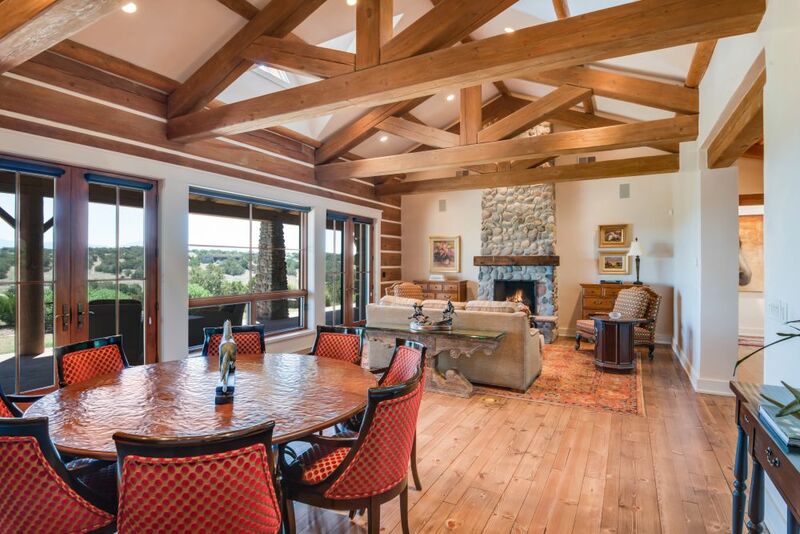 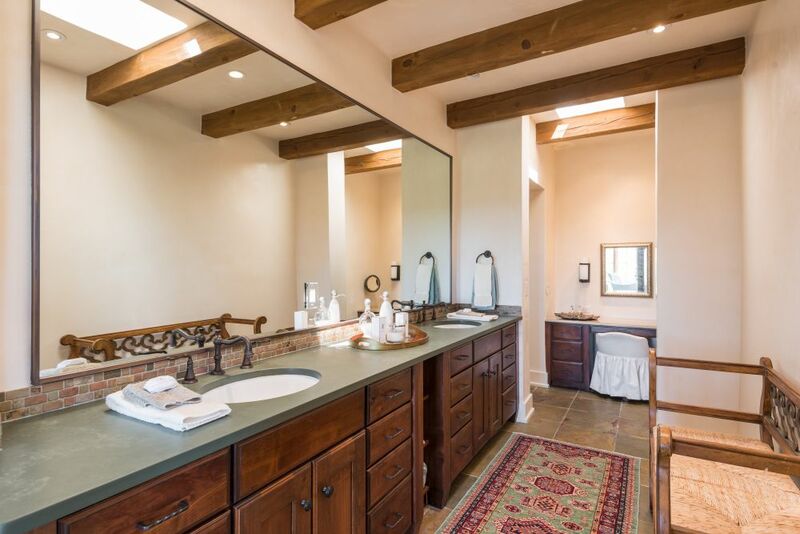 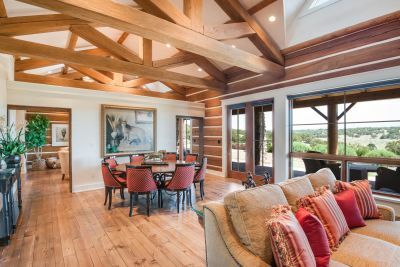 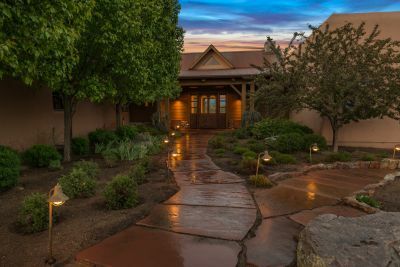 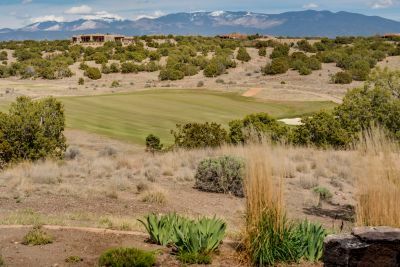 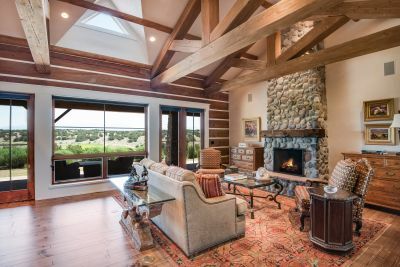 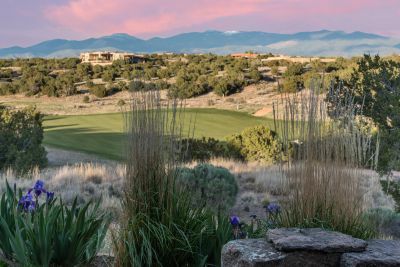 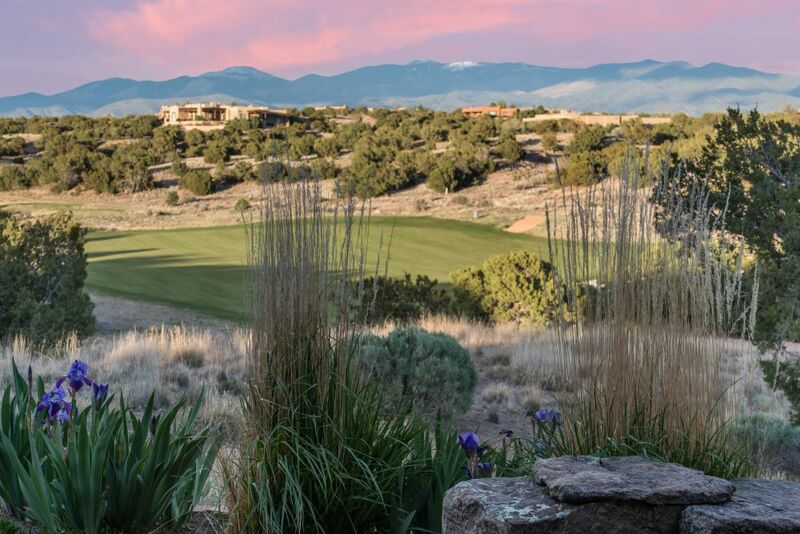 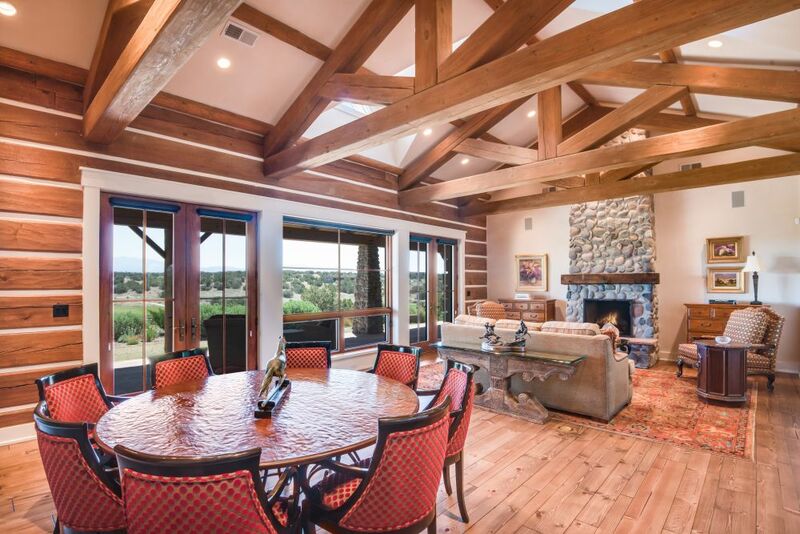 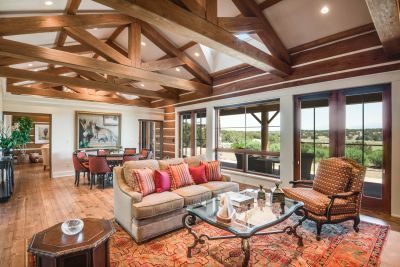 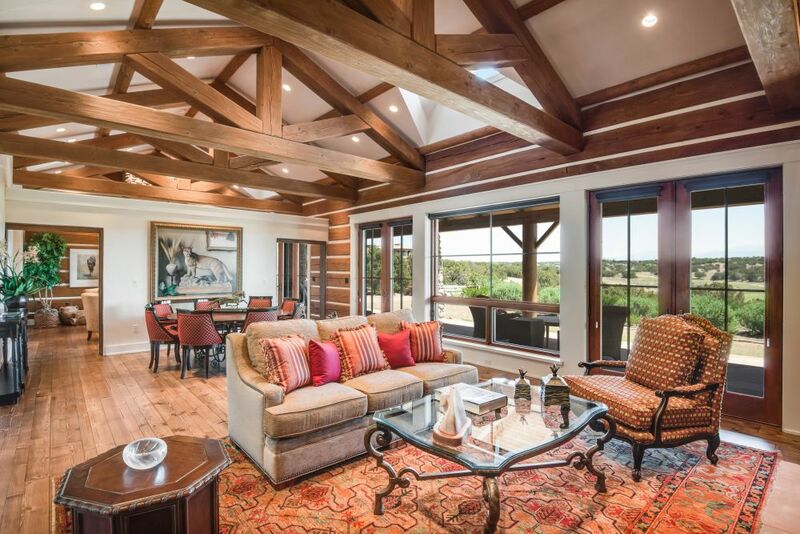 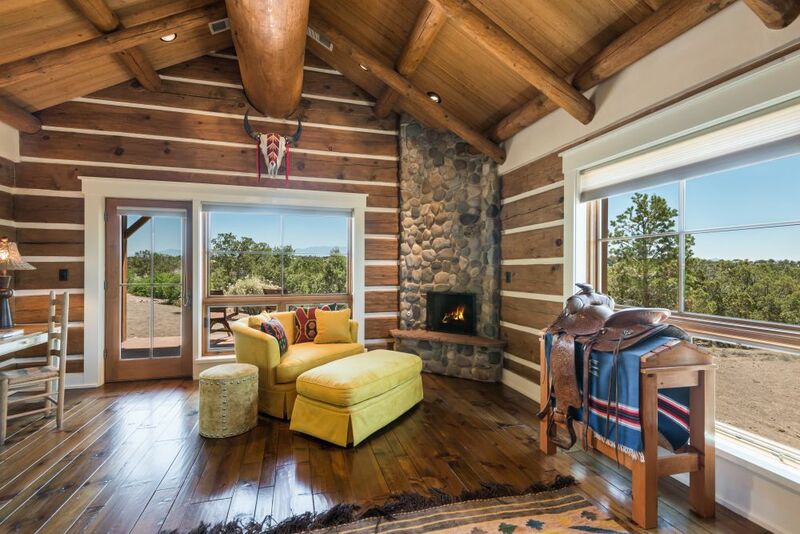 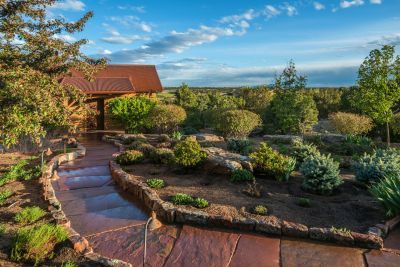 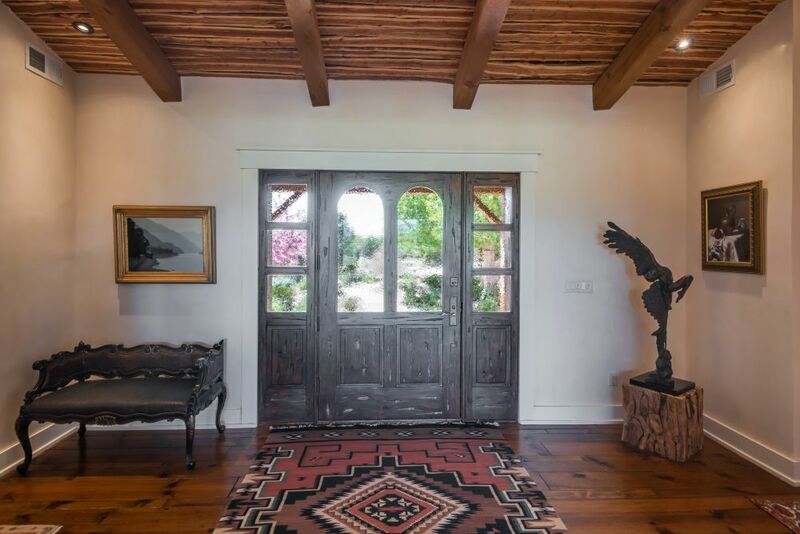 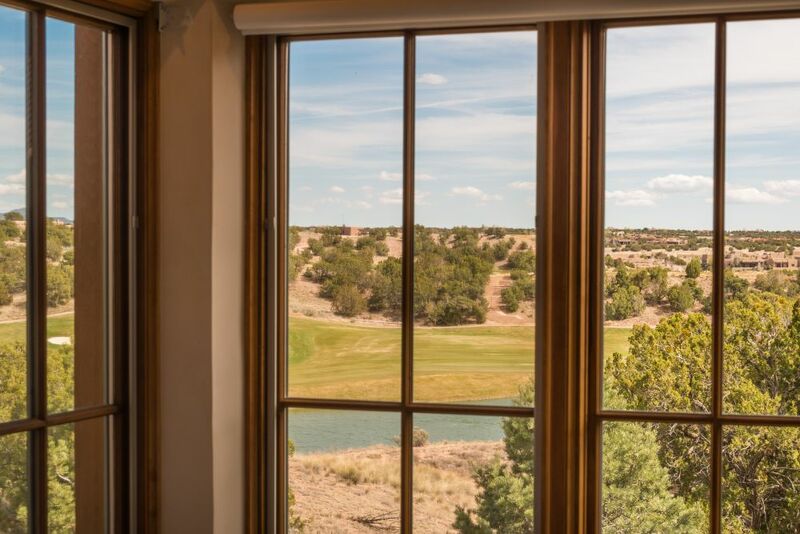 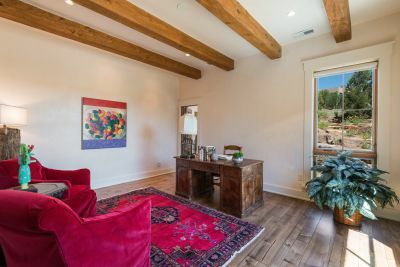 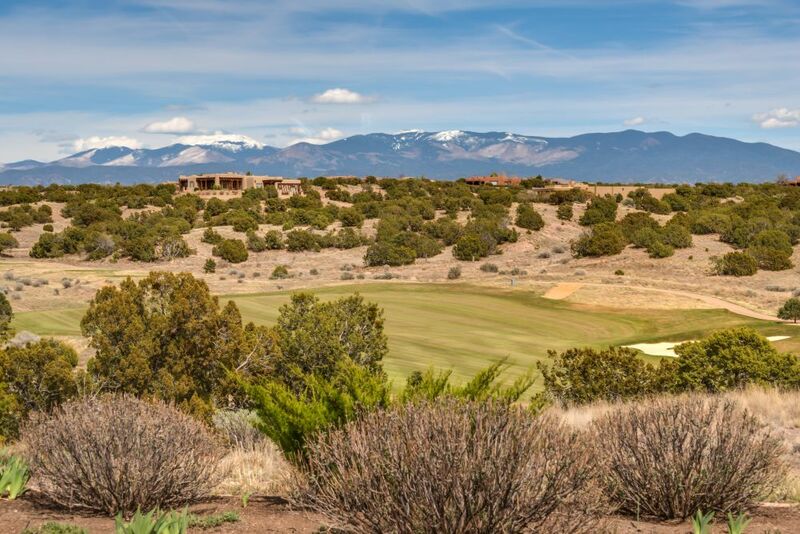 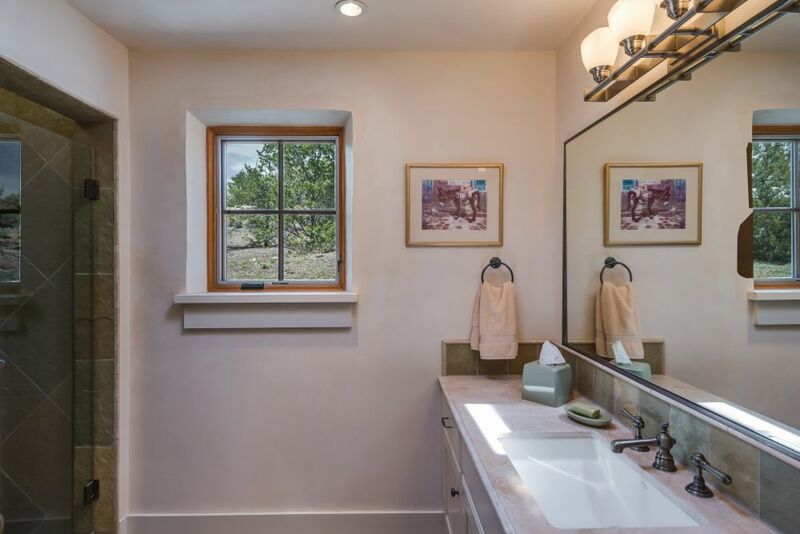 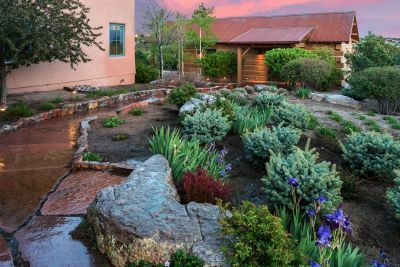 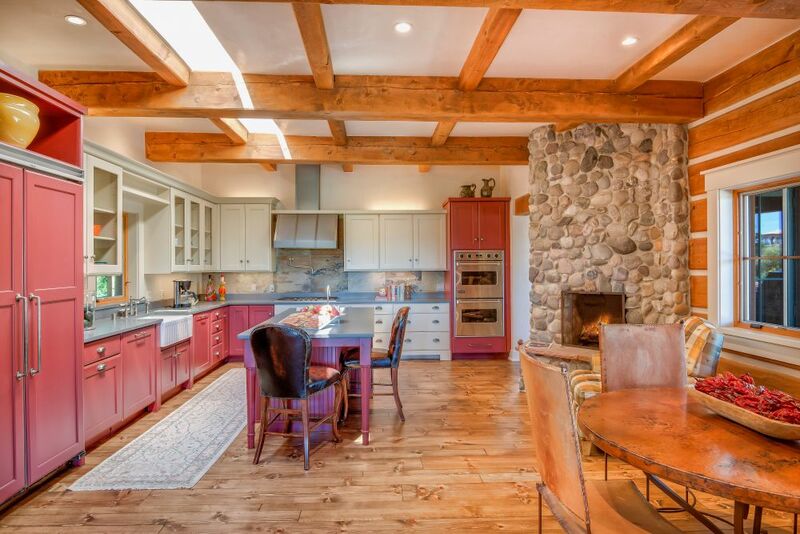 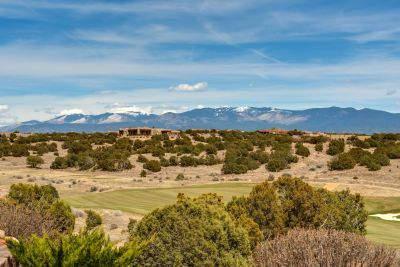 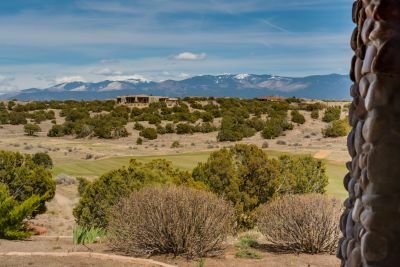 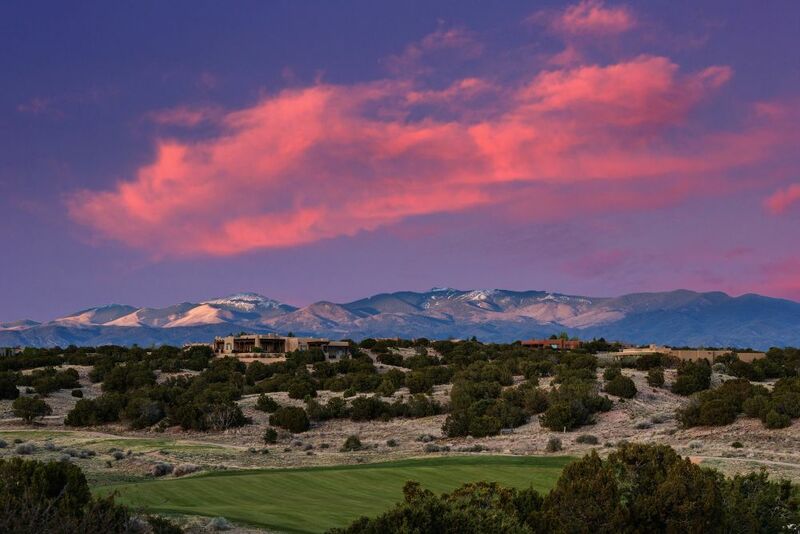 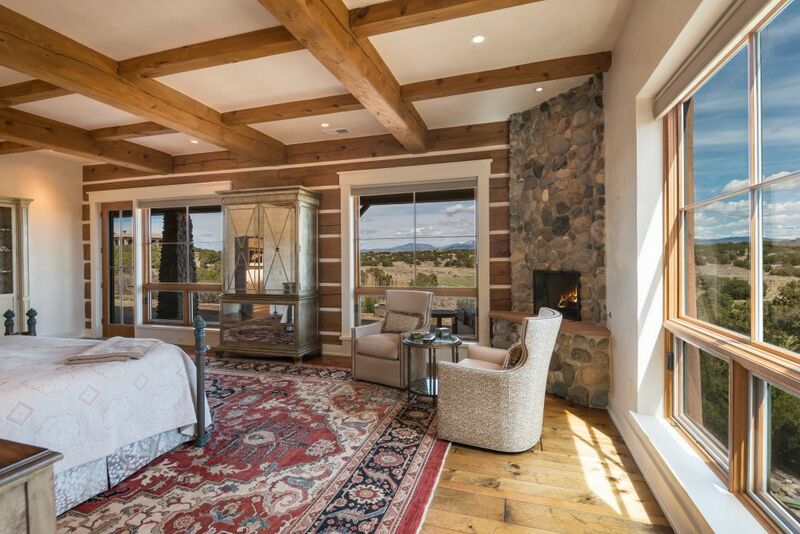 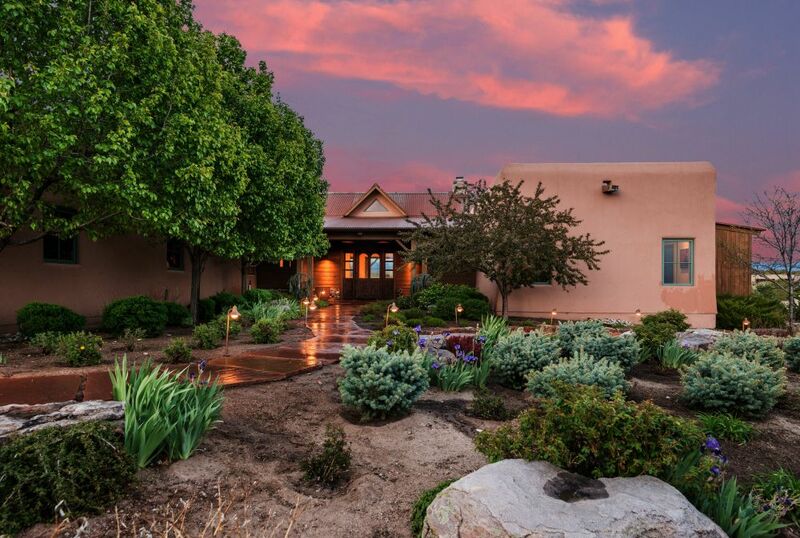 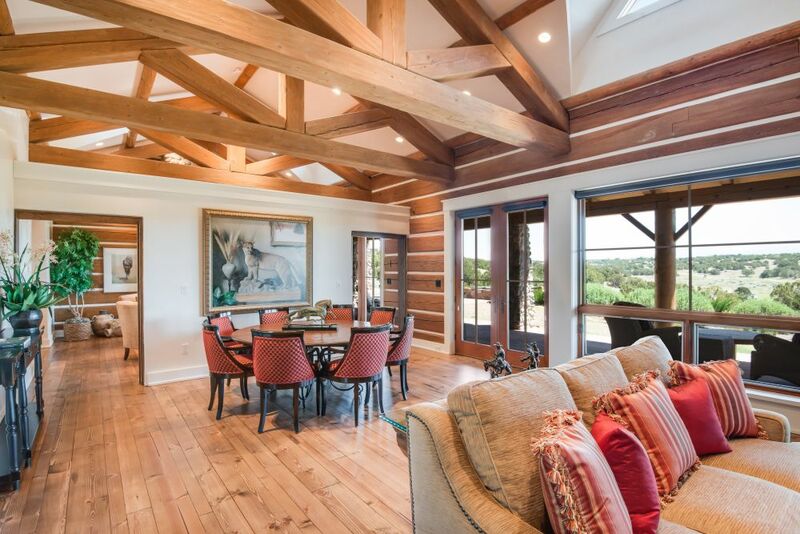 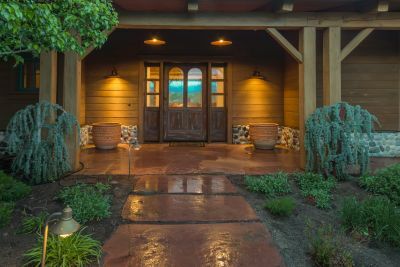 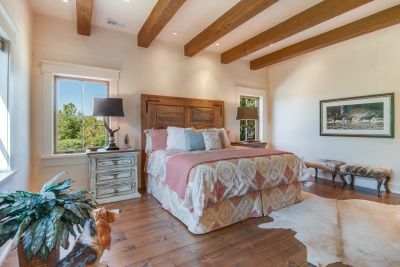 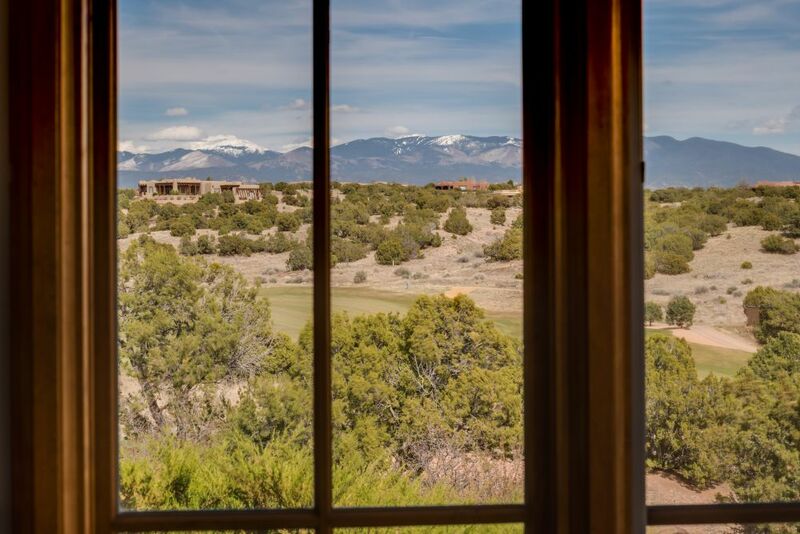 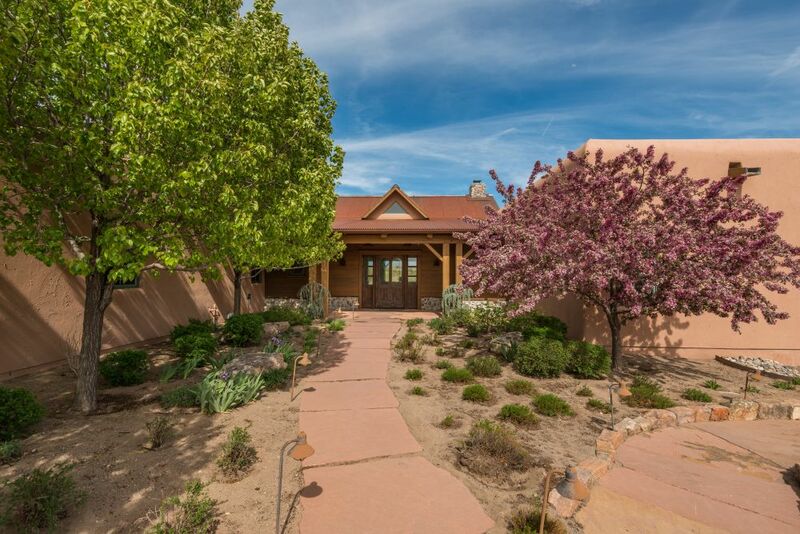 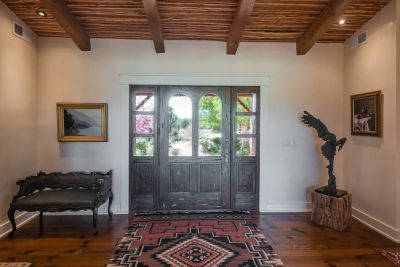 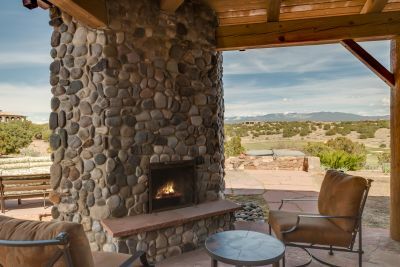 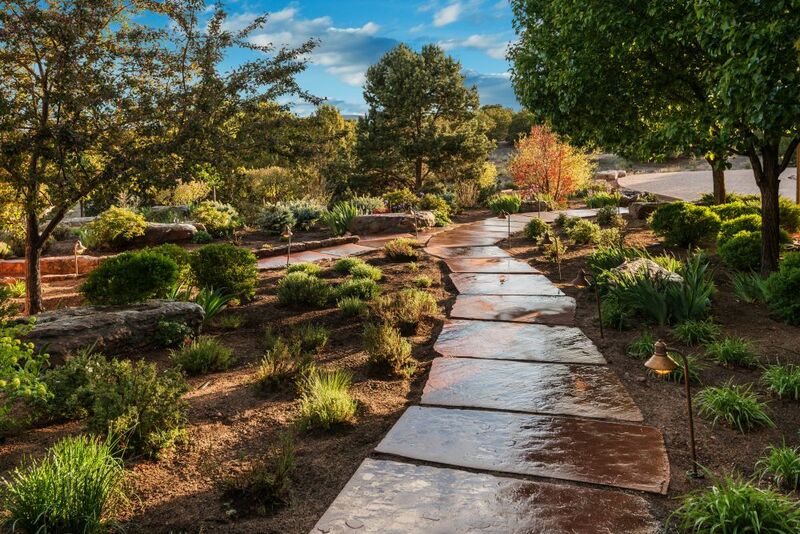 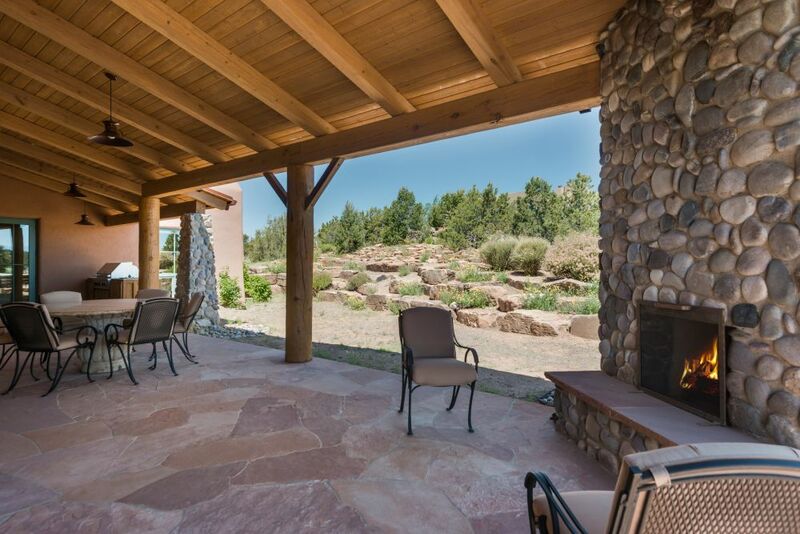 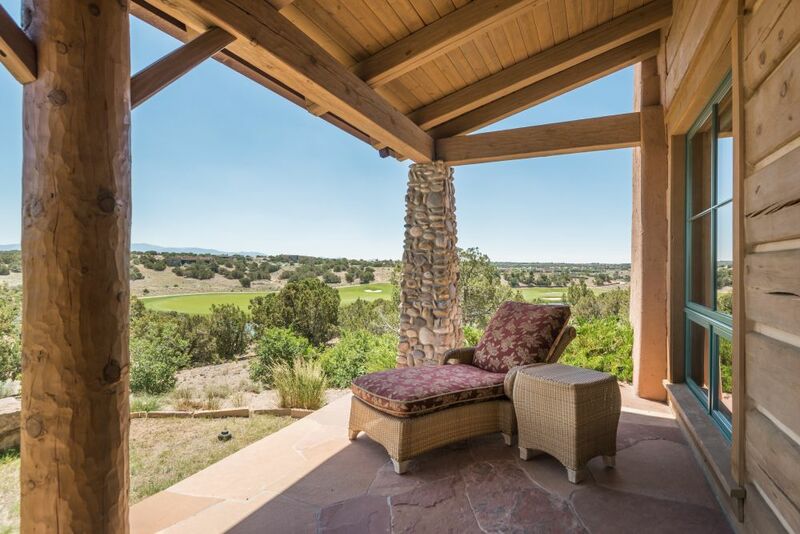 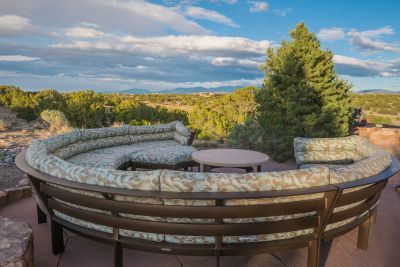 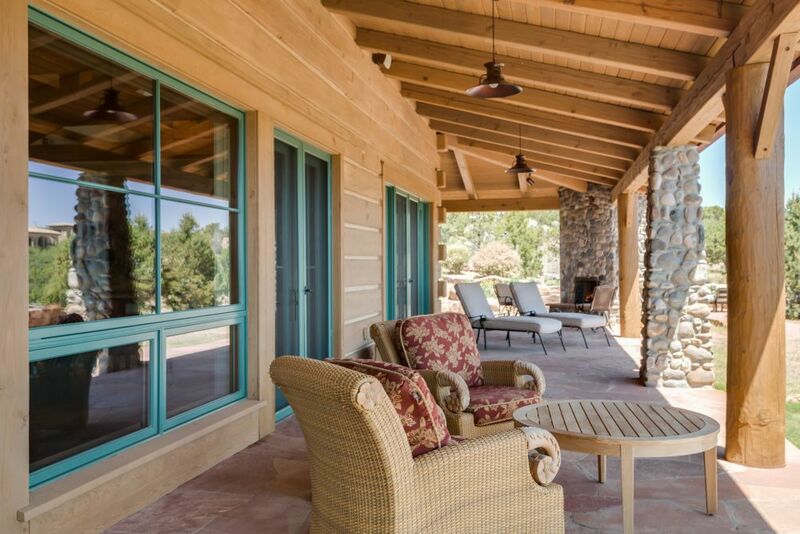 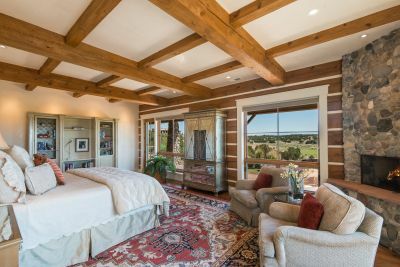 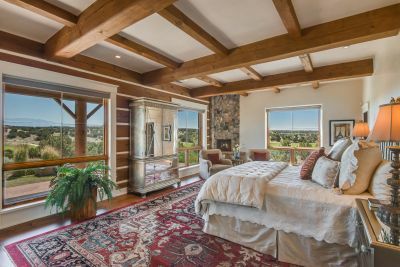 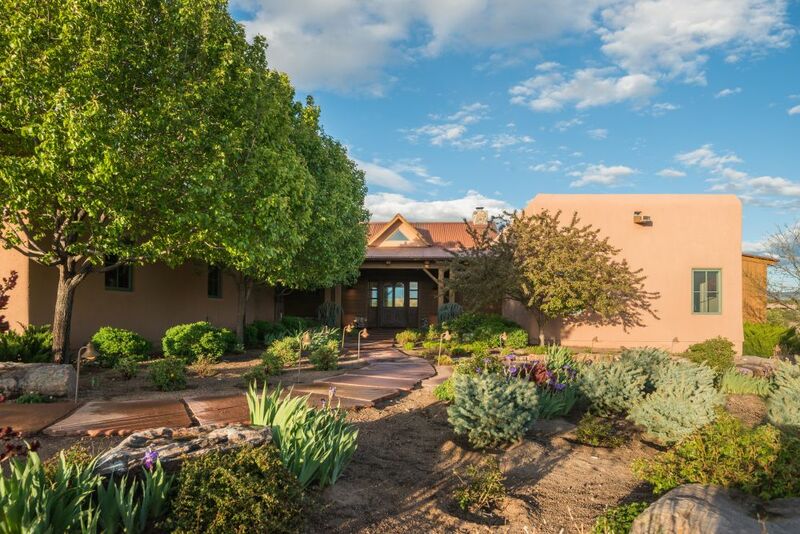 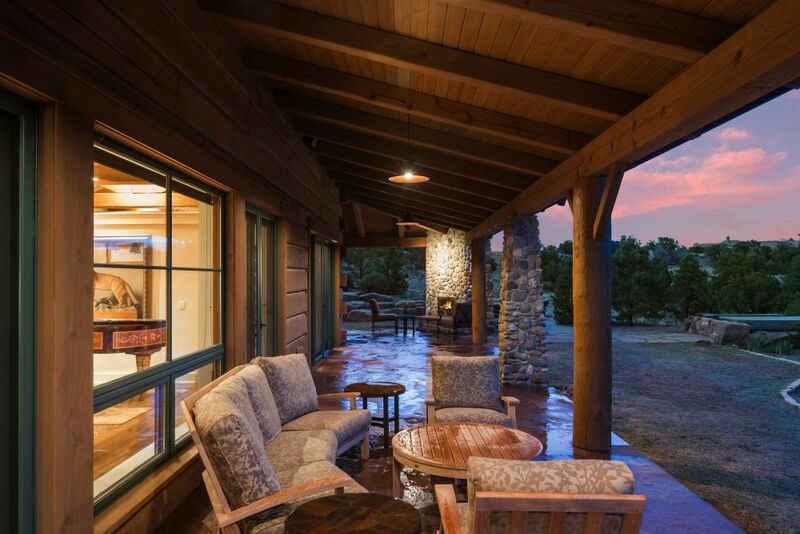 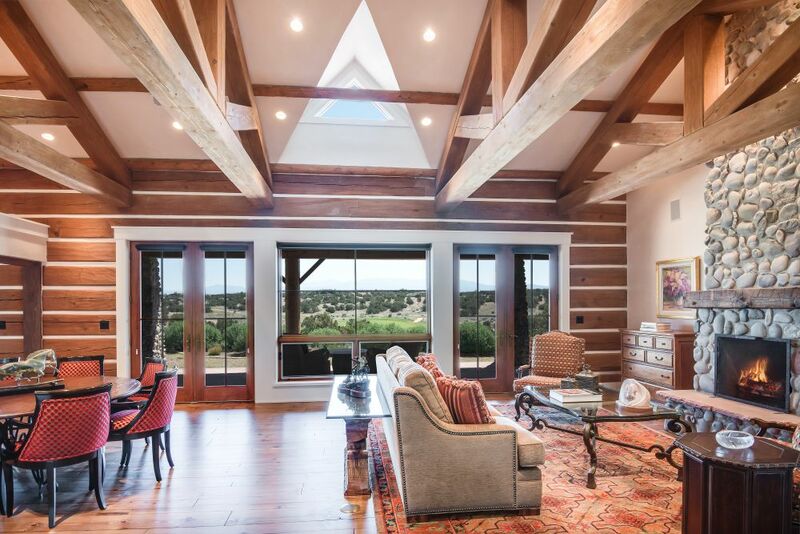 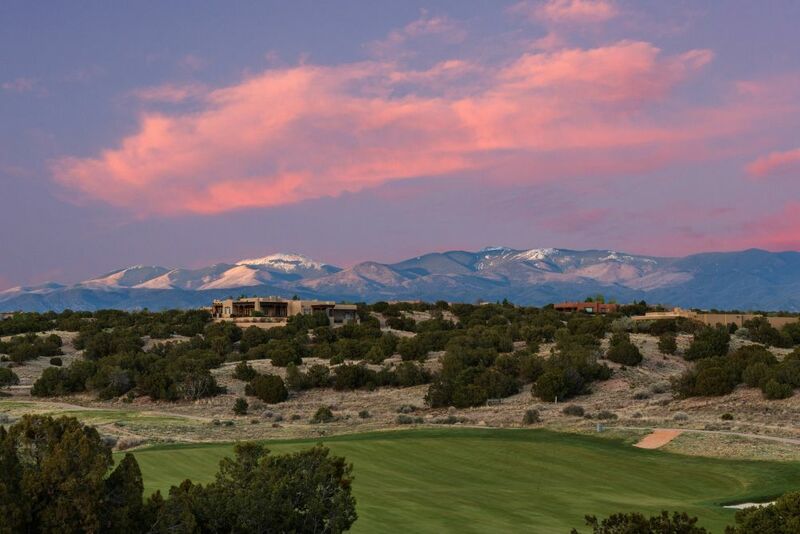 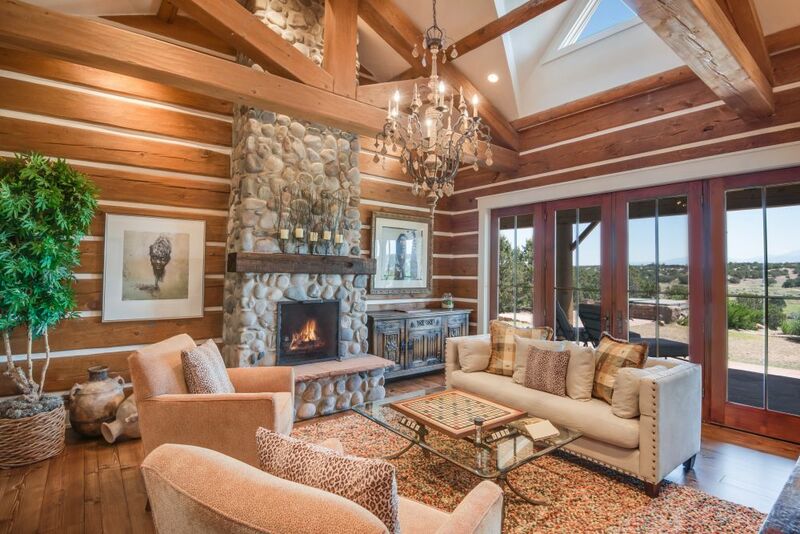 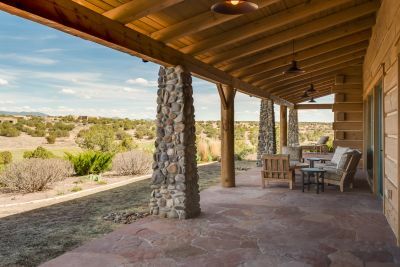 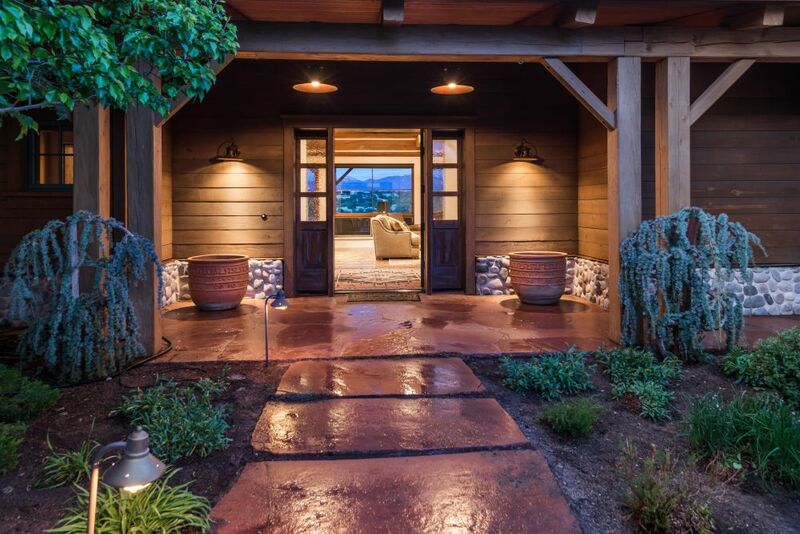 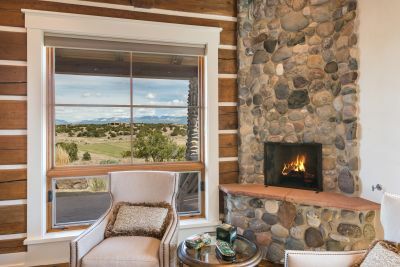 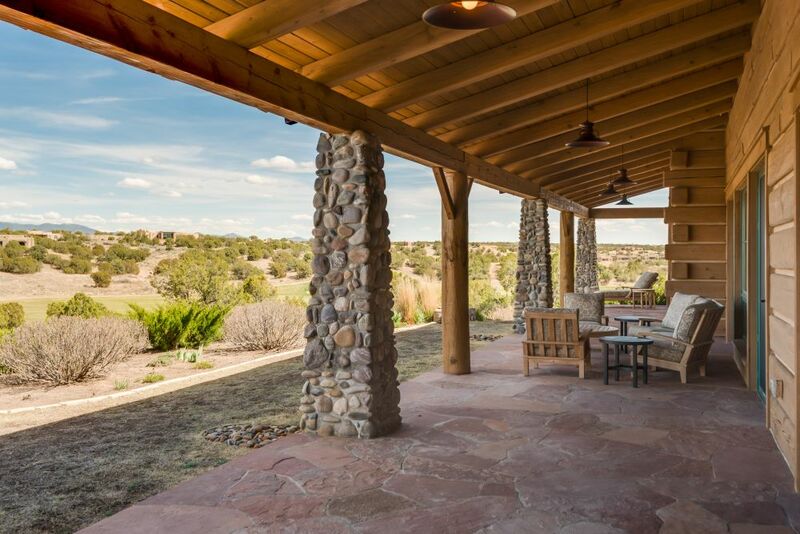 On a peerless top-tier 3+ acre lot, this sensational Las Campanas residence with enchanting guest casita overlooks lush fairway, lake and magnificent Sangre de Cristo mountain views. 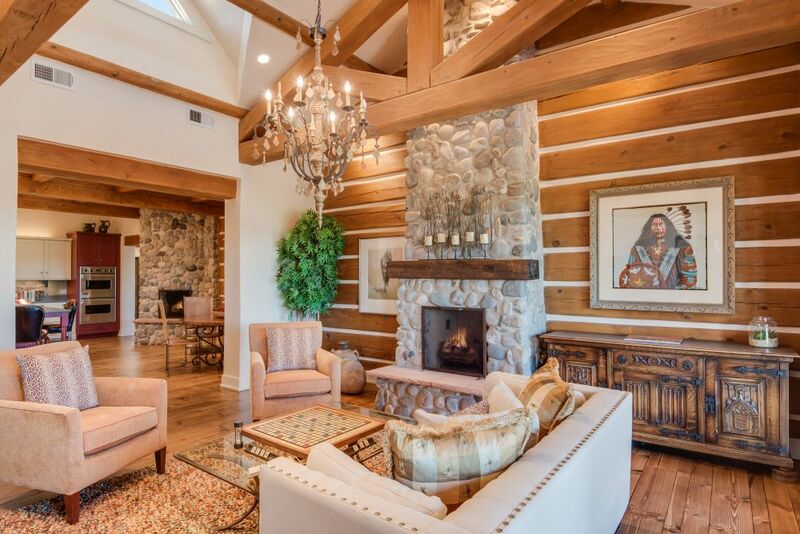 Informal luxury and superb Northern New Mexico design, including soaring pitched beam & trestle ceilings, split log detail, planked wood floors, diamond plaster walls and exquisite finishes throughout The great room, family room and master suite all access the 86&apos; entertaining portal, a dining portal with Viking grill, and hot tub with stone surround. 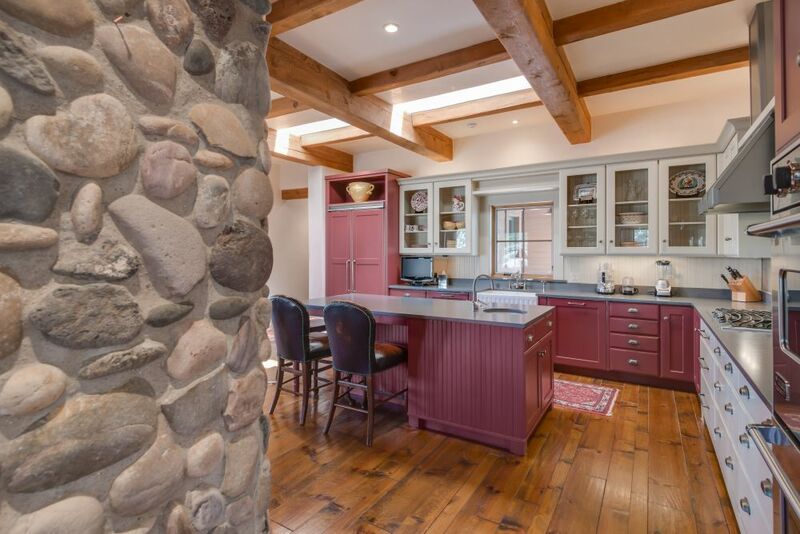 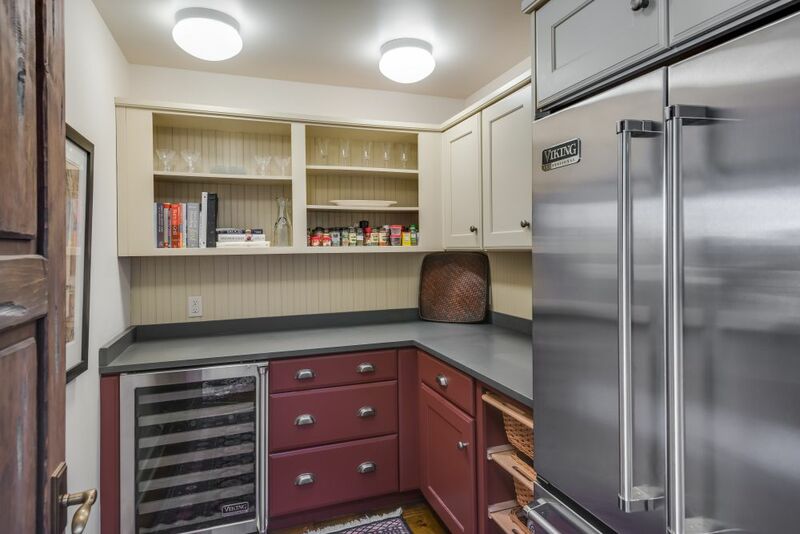 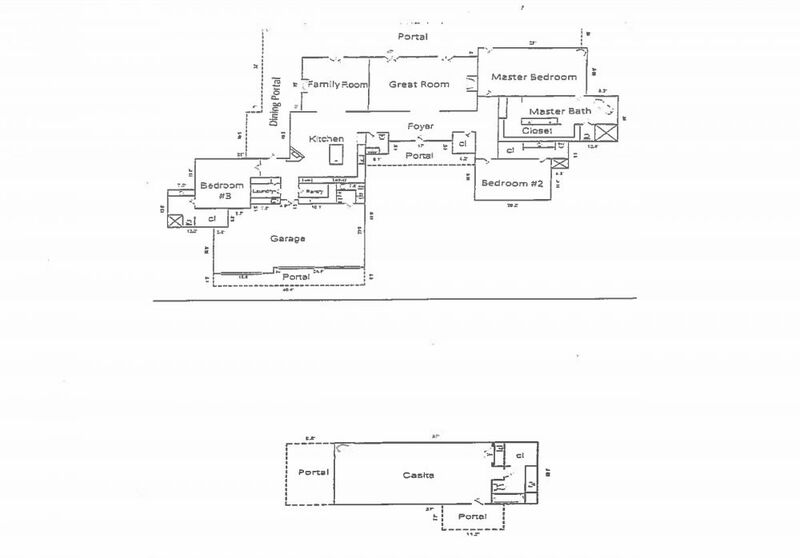 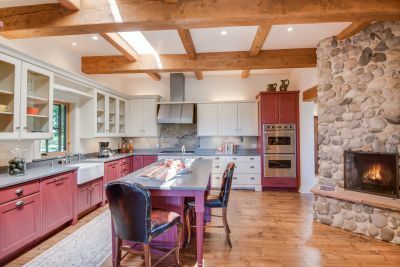 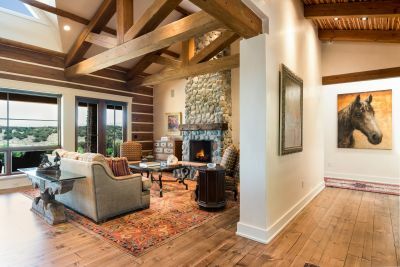 The outstanding Viking-equipped kitchen with butler&apos;s pantry has one of 6 fireplaces, and opens to the marvelous family room. 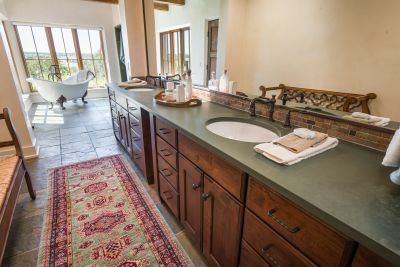 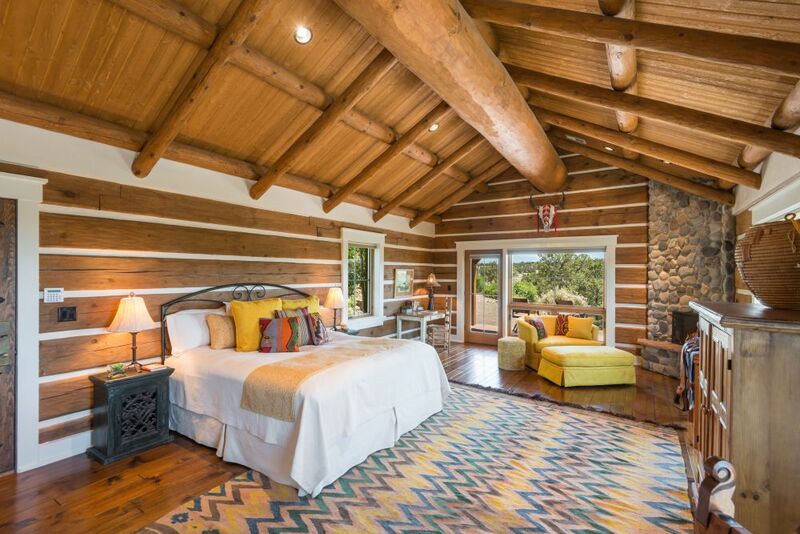 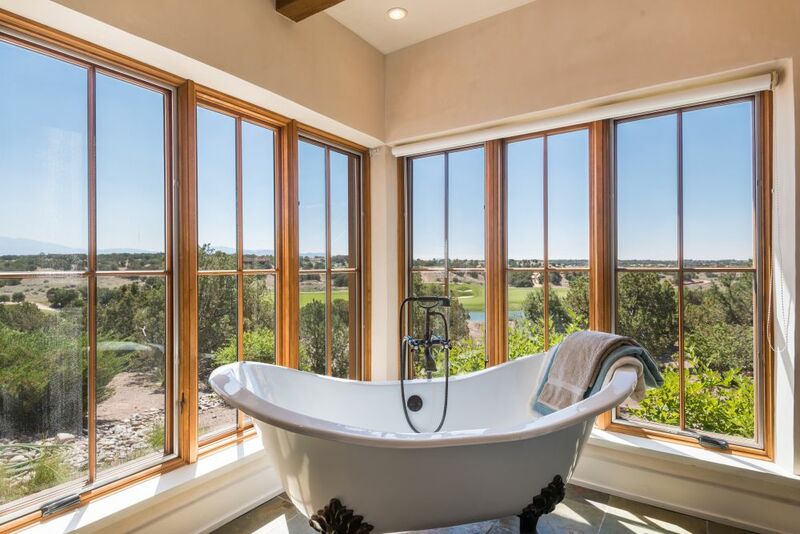 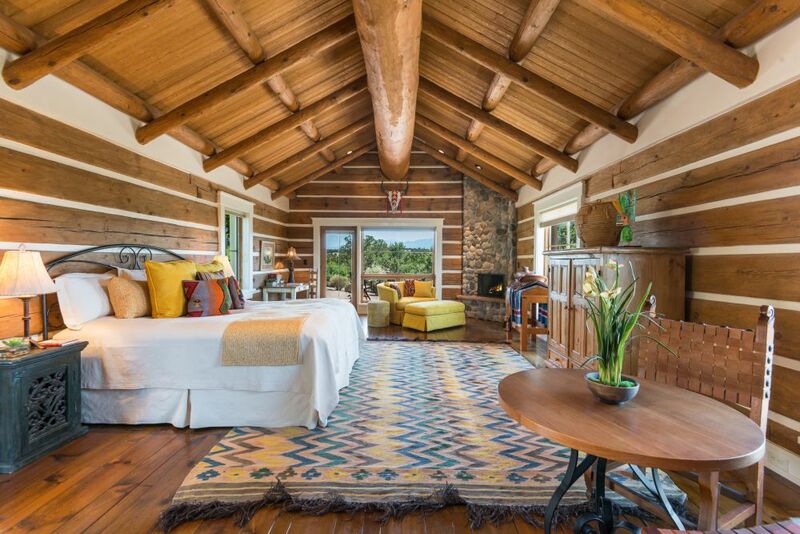 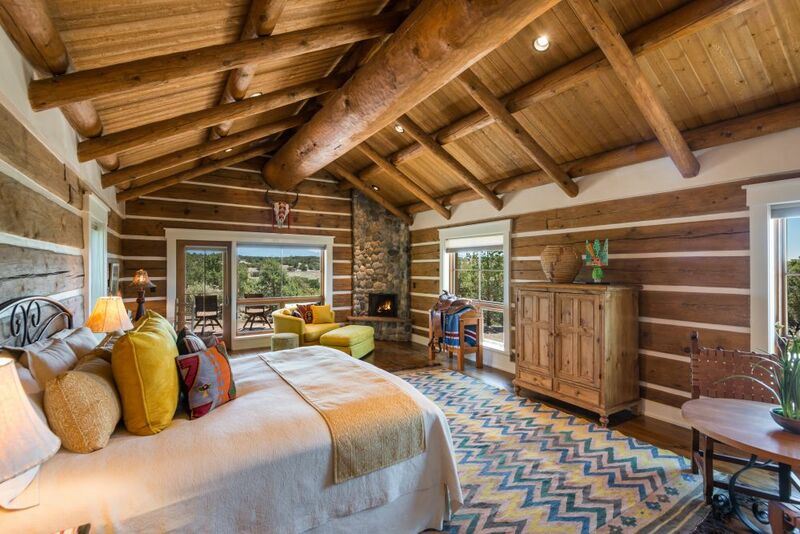 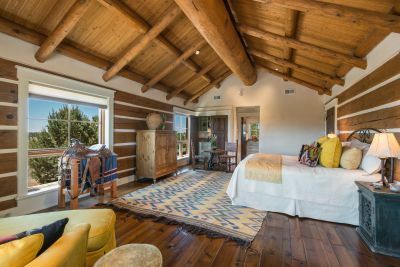 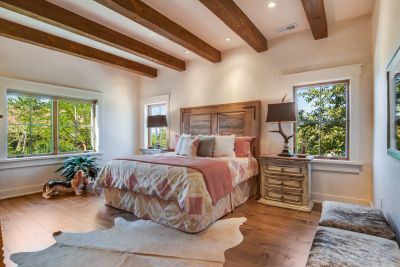 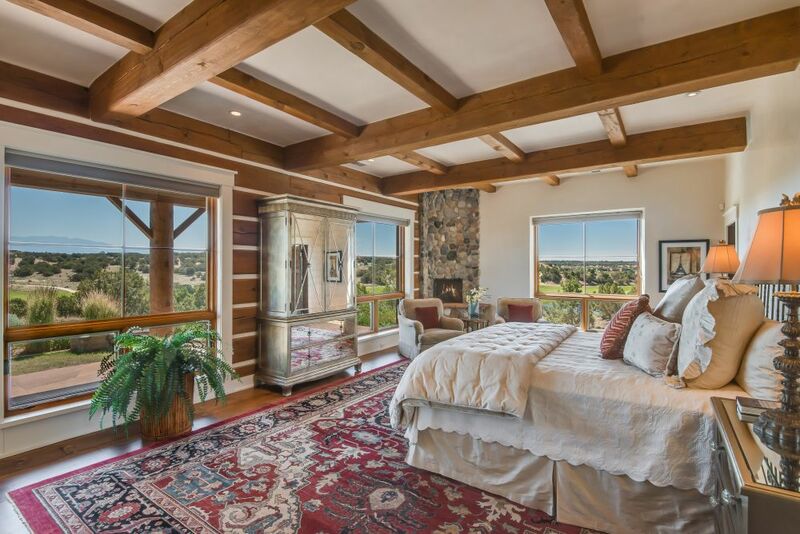 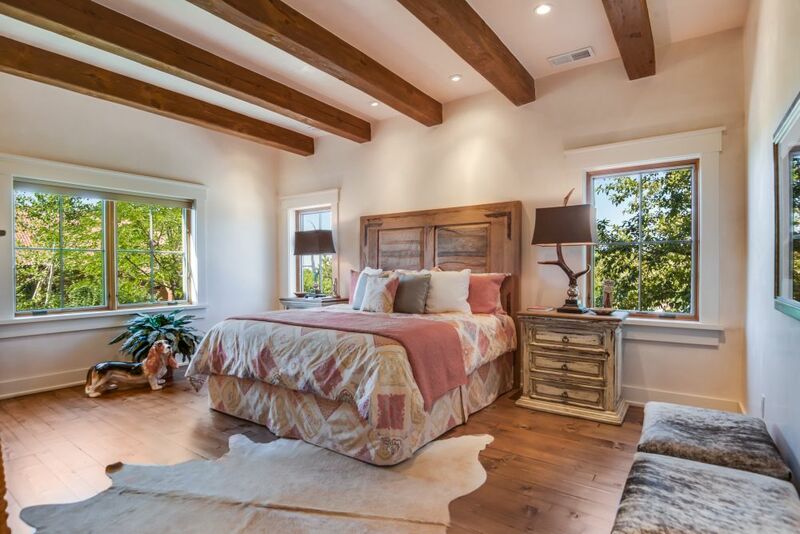 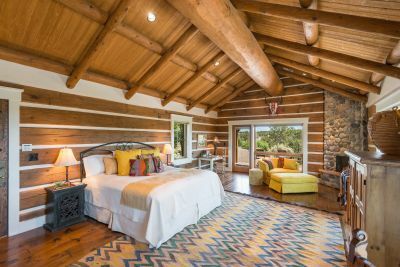 The beautiful master suite includes a sitting area with fireplace, an elegant bath, and sublime views. 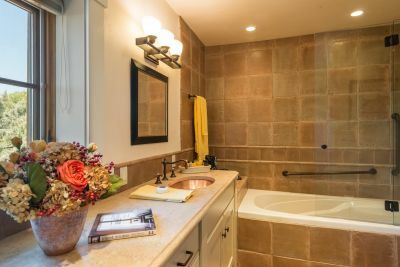 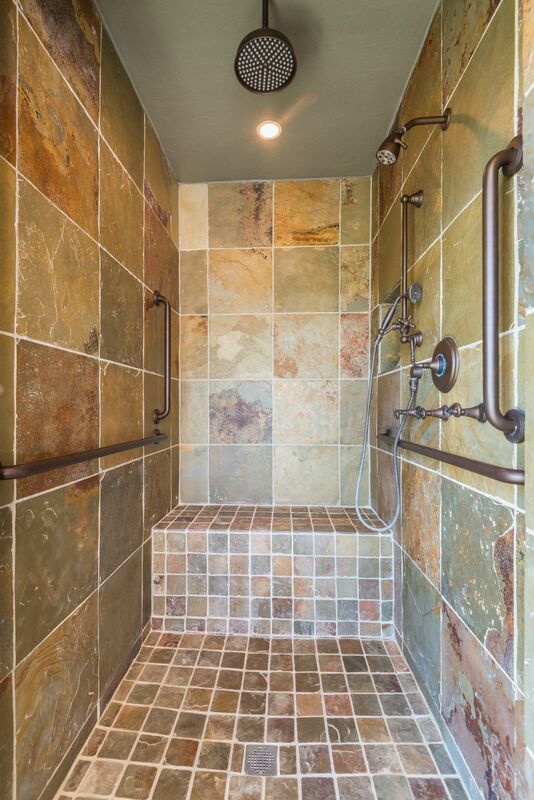 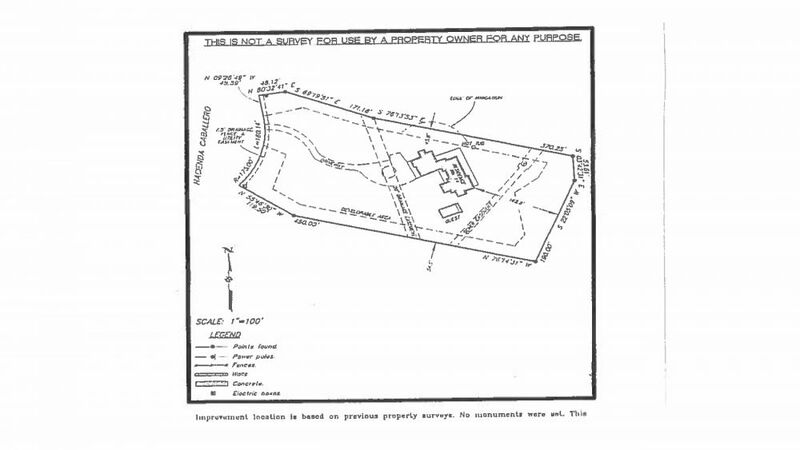 The two lovely guest suires have excellent separation, ensuring treasured privacy. 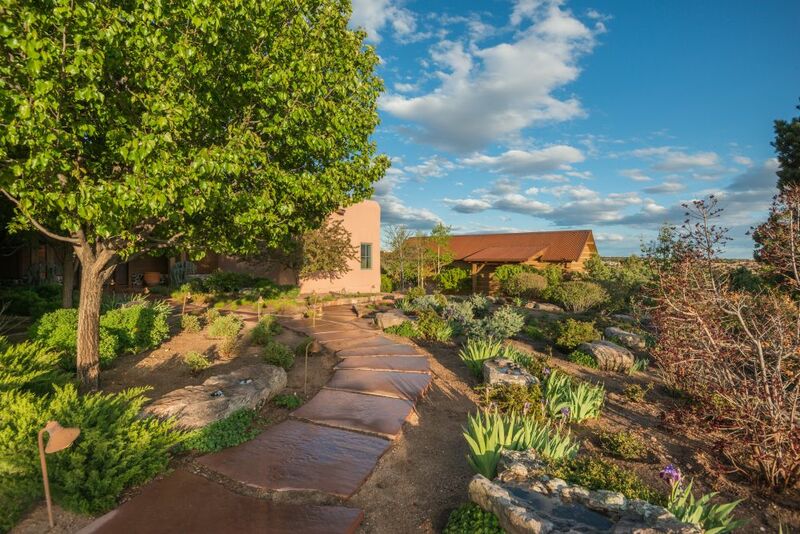 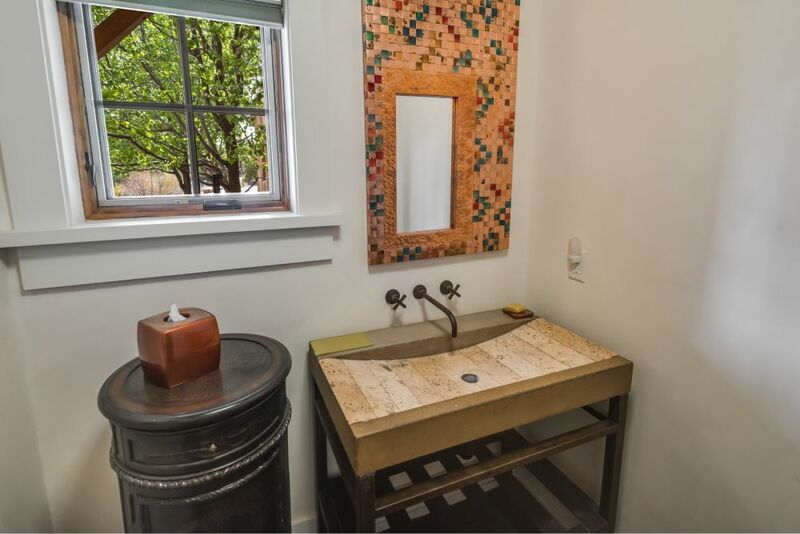 The impressive guest casita with mini kitchen is pure southwest romance. 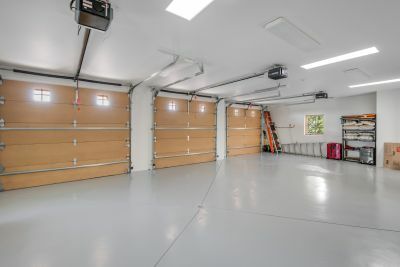 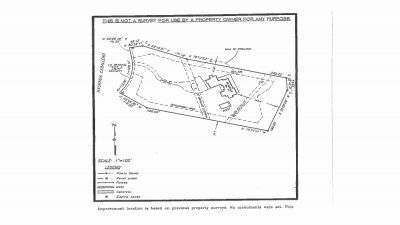 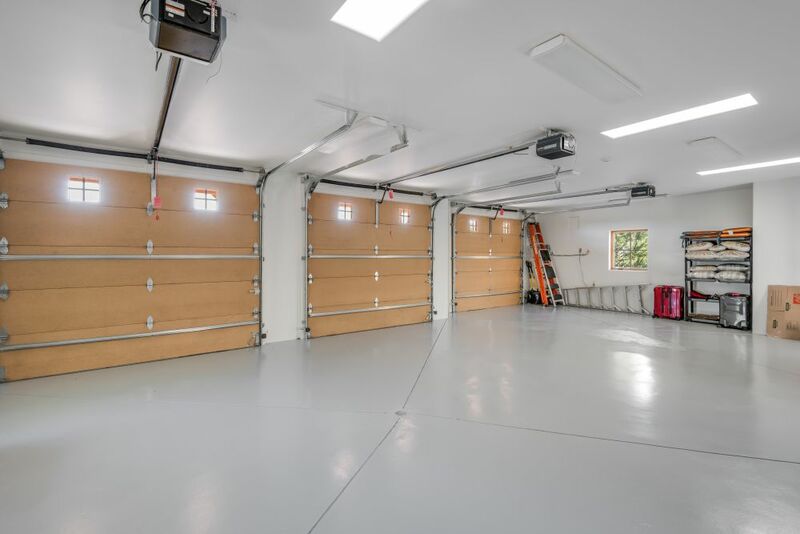 Additional features include built-in speakers, beautiful landscaped grounds, 3-car heated garage & stone-paved drive & motor court. 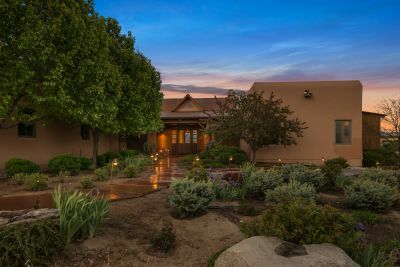 A recipient of the prestigious Grand Hacienda Award. 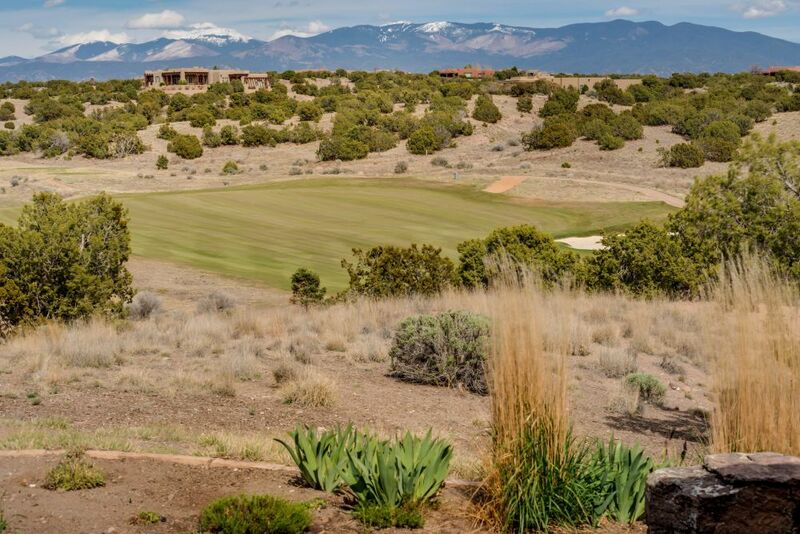 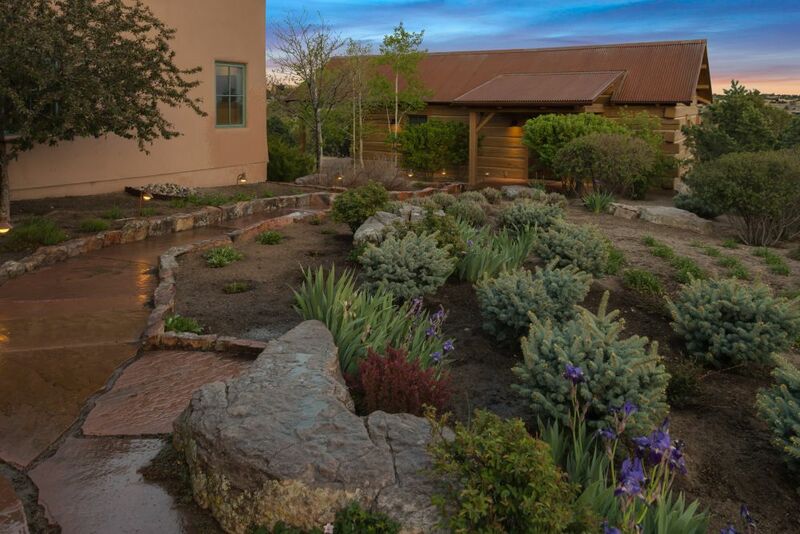 Enjoy the carefree lifestyle of Las Campanas. 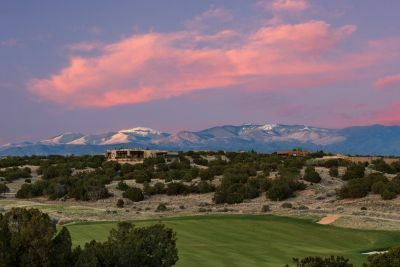 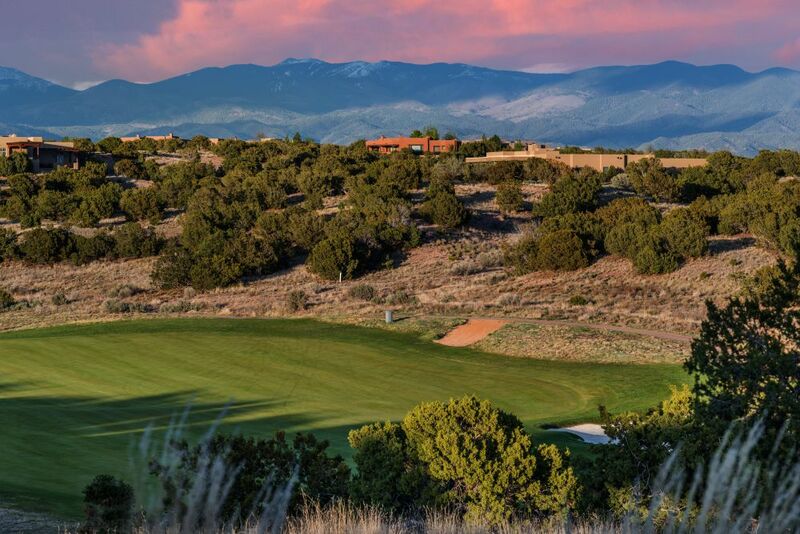 The Club at Las Campanas offers social memberships with superb amenities, including a fantastic gym, indoor & outdoor poosl 7 tennis courts, equestrian opportunities, impressive club house, and a choice of fine & casual dining. The golf membership option option includes unlimited use of the two celebrated Jack Nicklaus Signature courses.